Knowledge retention is both the success factor and the biggest challenge for a training. What’s the point of investing in the training and development of your employees if they don’t recall any of it? And how do you follow up over longer periods of time if your training is remembered? Or – more importantly – if the obtained knowledge is correctly applied? Where a learning management system (LMS) forms a solid and trustworthy base for your online courses, it often turns out to be less flexible than you thought… Often with little to no room for creativity and interactivity. By incorporating fun interactive quizzes in your training program you can allow yourself to be more spontaneous and to take learning outside of the classroom. Most importantly, playful quizzing over longer periods of time will stimulate knowledge retention of your employees, making your investment worthwhile! The first solution that usually comes to mind for training your employees is the standard learning management systems that you can fill up with all of your content. But, if you’ve ever worked with those, you’ll also know it takes a lot of time and effort to set up. Then, when you finally managed to get your setup right, these digital classroom-environments rarely allow you to try out other tests and other timings on different groups of employees. Don’t get me wrong, these learning systems are strong, solid bases that you can build your training process on. But a flexible aspect and the ability to add a certain amount of humanity and “fun” is missing. This is where quizzes can be a great additional knowledge retention technique. Here, instead of the mandatory and tedious feeling that comes with a standard “classroom test”, you are free to work on more playful settings that interact and can provide personalized experiences. … So how DO they add value? Simple: By quizzing your employees on a regular basis, you give them a playful way of staying up to date. You have the freedom to quiz more and in more variated ways, helping your staff to remember and use the obtained knowledge. 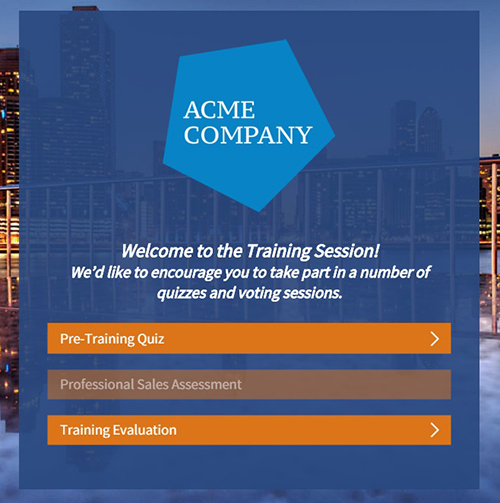 Quiz-tools today allow you to do more than just “create one quiz” in a boxed environment. And this is where it gets interesting for you as a trainer. 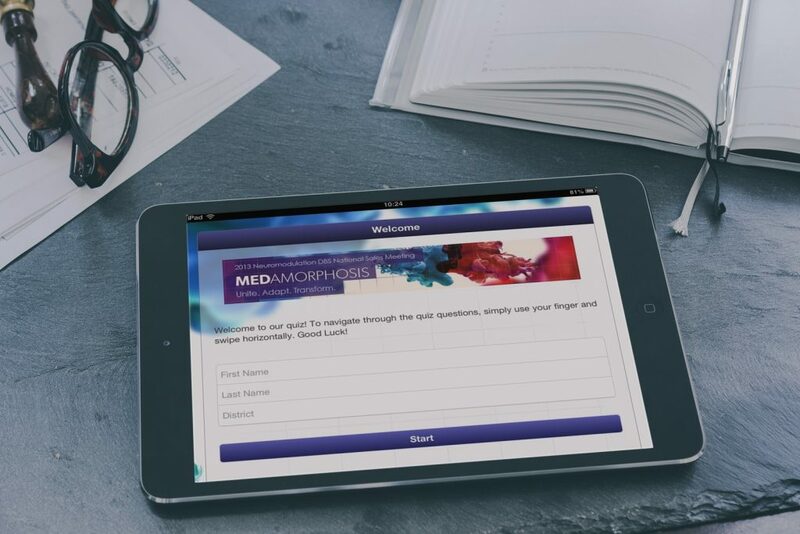 By setting up entire quiz sequences, that send out short questionnaires over a longer period of time, you can keep your employees alert and on top of their course material. Stimulate knowledge retention FOR EVER! On top of that, it allows you to move away from the closed classroom environment. Instead, reach your employees at better timings on their own computers or even their mobile devices. The playful aspect of quizzes also has a positive influence on user motivation and commitment to their training which can only have a positive impact on learning outcomes. Ok, so quizzes to increase knowledge retention is what we’re aiming for. They can be a great addition to a larger learning program if you have it. A quiz campaign will assess the participants’ awareness of certain topics and how much they know of the subject. A quiz is quick to set up and easily adapted to any situation. The end of a course or training isn’t the end of the learning process! By using short quizzes that pop up every now and then in an employee’s daily life, you stimulate them to remember the information longer and actually use it in their tasks. The added fun-factor will make your employees more enthusiastic to take the quizzes. A bit of lightheartedness never hurt anyone ? and it’ll make the quizzes feel less mandatory. By incorporating gamification elements to your learning style, you’ll increase the perceived ability of employees that the challenge/test ahead of them is simpler. It positively enforces their feeling of status and power when they can unlock the next level for example. Do your employees actually learn and manage to remember on a long-term basis? Is the knowledge used on the work-floor afterward? And, following the above, single out difficulties if there are any. Let the results guide your strategies on informing your employees effectively. These insights allow you to create segments in your group of students too. Is someone ready for the next level in the training program? Personalized dashboards and overviews allow you to discover that in an instant. No need of a classroom environment! Interactive quizzes for students or employees don’t have to be limited to in-class work. Quiz takers can access their quizzes wherever they are, on their own schedule. There are benefits for days! I’d much rather challenge you to give it a try though ? What knowledge is already there? Use it as a benchmark, plan your next steps from that point on and start measuring effectiveness and ROI. By adding an incentive or a certain level of playfulness you can provide a more human experience for the staff. And by adding an incentive, you can quickly raise motivation. >>> They will test their knowledge, you’ll get the info you need and they’ll be able to gain something more as well. Try working with leaderboards and share the scores of all team members if you’re dealing with competitive teams. It’ll encourage them to work better and it can increase team spirit. Marketing agency Stone Arch Creative is the perfect example of how this can turn into a great success. While more successful employees can unlock the next level in the training program. How often is the answer to a tough question ever as simple as yes or no? By leaving room for personal thoughts and ideas, you will get more detailed insights into the capacities of your team. Use real-world examples, utilize branching scenarios and even incorporate self-directed feedback to get personal results and also provide a personalized experience for your respondents. Limit your questions to 5 or maximum 10. The best knowledge retention results come from quizzing again after a couple of days or weeks with new sets of questions on the same subject. It’ll help your employees to remember longer if the lesson is quizzed shortly every now and then. Shift shared some great ideas to boost learning and knowledge retention. Learning management systems work in one spot, on a computer in a safe, but ‘staged’ environment. Working with a quiz platform, on the other hand, allows your staff to enter the quiz at any time of day, on the device of their own choice. You get rid of the ‘desk’ feeling without much effort if a staff member prefers to take the test on a mobile device on his train ride home, or while waiting, that’s perfectly fine. This also means you can reach those employees that are difficult to reach or aren’t working on a desktop. Carry a tablet around the work floor or even send them an invite via their own mobile device. A quiz tool isn’t a replacement for a learning management system. But it can be a smart and versatile addition to your training program. It’ll turn training your employees into a more pleasant and exciting process, with better results. Both for you and your employees! Ready to test your own skills with this example training campaign we added for you? Now that was a load of tips and insights. Perhaps I should quiz you in a couple of days, see how much you remember? ? Don’t worry, I’ll leave training up to you! But I do encourage you to get started on your first interactive quiz with this super useful step-by-step guide.